Thank you for protecting us at home & away. God Bless the USA. 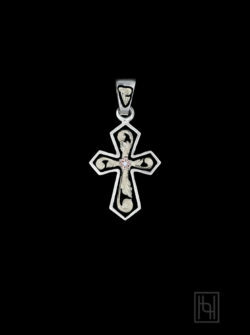 Carry a beautiful symbol of faith while honoring the service and sacrifice of our nation’s military men & women with the Praying Soldier Cross Pendant. Metallic hues of tri-gold and silver are highlighted by a midnight black antique. Hyo Silver contributes to the USO.